Performing a Stock ROM Update or Firmware on your Asus smartphone is one step to renew or correct the shortcomings of your Android system. The Android system on your Smartphone sometimes has bugs or defects, so the vendor makes repairs or covers the bugs on your Android system by providing a new stock ROM that has been repaired. Or vendors want to add some new features and stabilize performance and speed up the performance of your Android System. Everything that the vendor does is for your convenience and satisfaction in using the products they have sold to you. Therefore, updating Stock ROM or Firmware is a must for the Android system if you want a better improvement on the Android system you are using. Note: During the update process, please charge your phone with an AC adapter or make sure the phone has a minimum of 15% battery power. And make sure you are connected to the Internet. 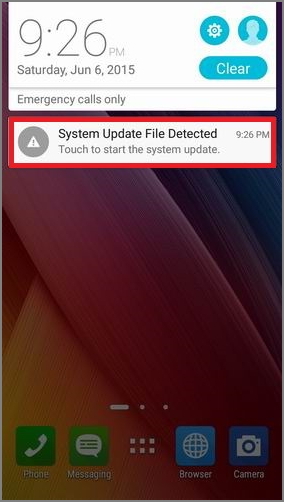 On your Asus Zenfone / Zenpad Smartphone, go to the menu "Settings" -> "About" -> "System Update", then tap on "Check Update" to find out the availability of the latest Stock ROM or Firmware. Your Asus Zenfone / Zenpad smartphone will check with the server whether there is availability of the latest Stock ROM or Firmware at this time. If there is, the Android system will download it and install it automatically on your Asus Zenfone / Zenpad smartphone. When downloading and installing Stock ROM or Firmware, you do not need to do anything, just wait or do other activities until the process is completely finished. This manual method will be slightly different from the automatic method above, because you have to download and install Stock ROM or Firmware manually. 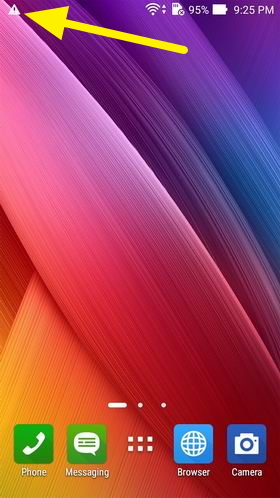 But there is no problem with that, I have provided the latest and old Stock ROM or Firmware in the post "Download Stock ROM Asus Zenfone All Models". In this post I only collected Stock ROM links that I got from the official website of ASUS.com. Please make sure the firmware SKU you download conforms to what is on your phone, e.g., WW -> WW, CN -> CN, TW -> TW. Using an incorrect SKU will lead to an update failure. You can not change the SKU from one to another, e.g., WW -> TW, and you can not downgrade the firmware either, e.g., V2.20.40.13 -> V2.19.40.18. During update process, please charge your phone with the AC adaptor or make sure the phone has at least 15% battery life available. 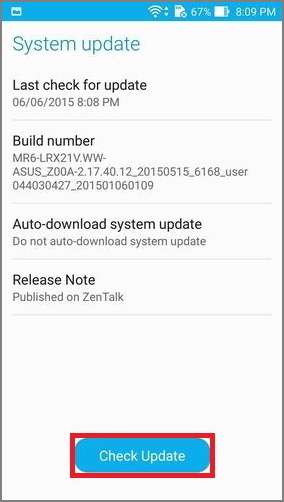 Download Asus Zenfone Stock ROM in the post "Download Stock ROM Asus Zenfone All Models". If you have got it, Put the ZIP file in the root directory of the phone's internal storage. 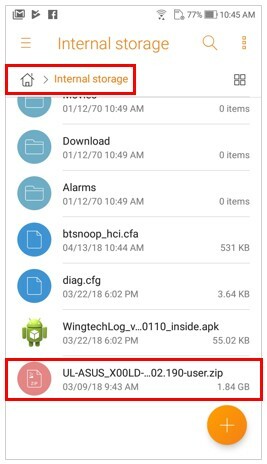 - Download by Phone/Pad: Please select the download path to the root directory of the phone's internal storage (or copy/move from default download path). - Download by PC: Connect your phone to PC via micro USB cable, and copy the ZIP file to the root directory of the phone's internal storage. Remove the micro USB from the phone while finishing the file save. Reboot your phone and check for the firmware update notification pop-up on the status bar. Tap "System Update File Detected..." and follow the steps shown to update the firmware. Note: The steps or photos shown above may vary depending on the device models. 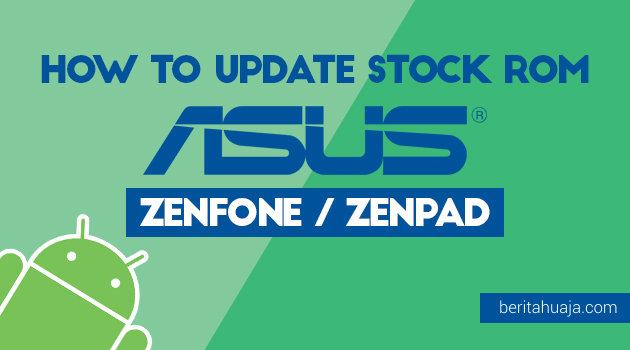 0 Response to "How to Update Stock ROM / Firmware Asus Zenfone / Zenpad Devices"